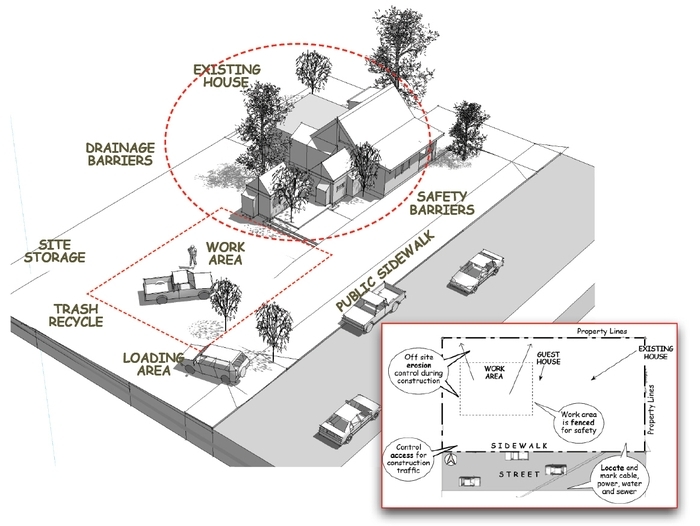 Preconstruction planning includes the environmental impact of the construction on neighbors, public safety, and noise-light-smoke-dust pollution and often required as a special condition for a building permit. 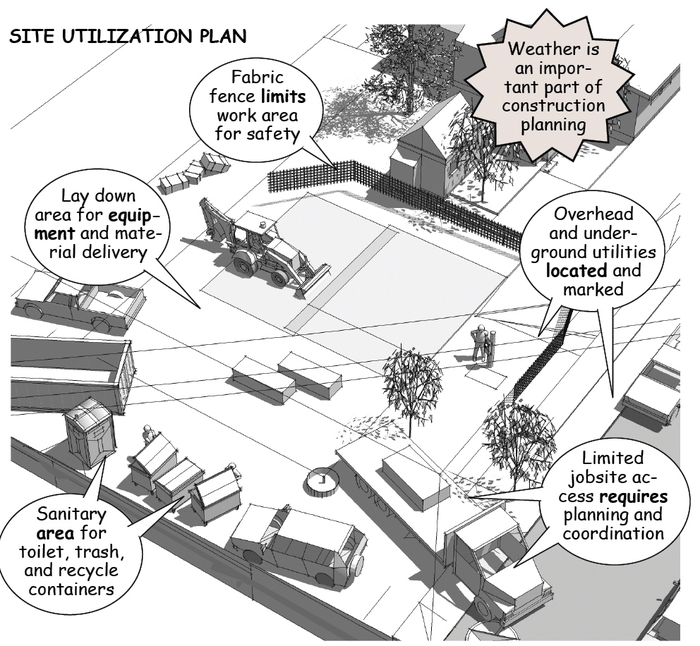 Construction planning starts by physically transferring the lines and dimensions shown on a set of construction drawings to the actual real-world site conditions. This is done with surveying instruments designed to locate points in space by triangulating distances from a workpoint. 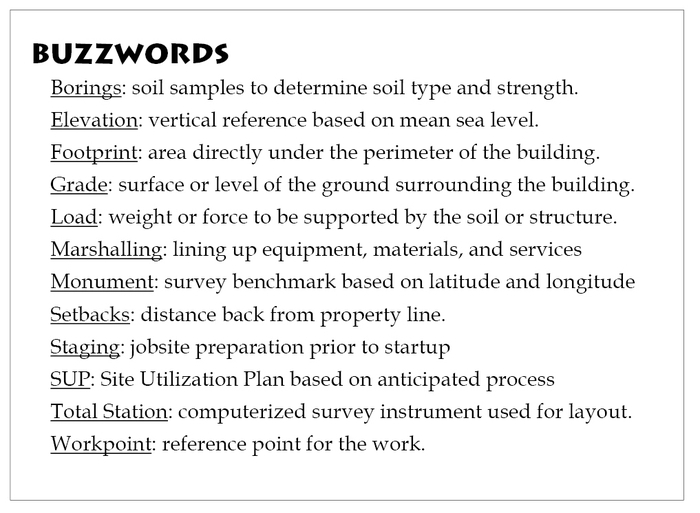 This workpoint is derived from geographic monuments and acts as a three-dimensional reference during excavation, foundation, framing, and site work. 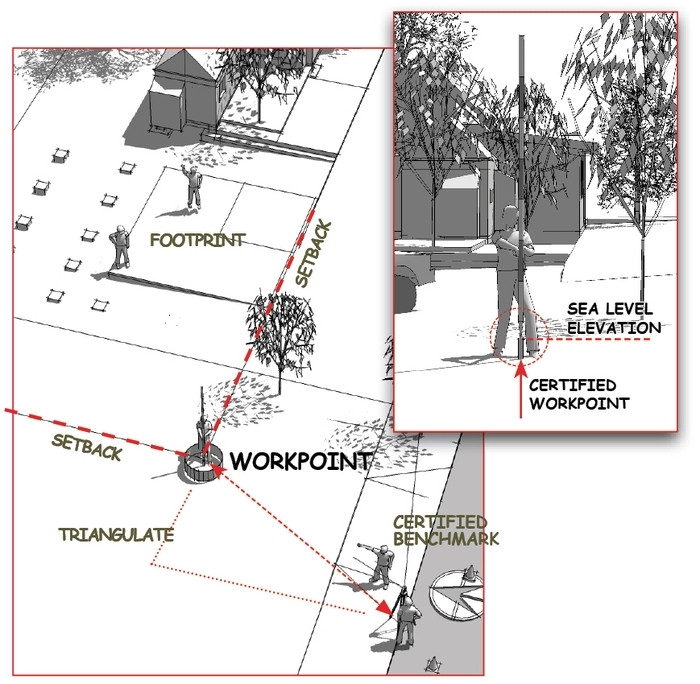 The workpoint is also the basis for a site utilization plan (SUP) drafted by the contractors. A SUP is used to think through each phase of the construction, identifying changing work areas, required falsework, safety concerns, site storage, environmental protection, access controls, parking, and traffic. The plan itself can be a rough drawing, collaborative white board sketch, or a screen-shot from a simple three-dimensional model. 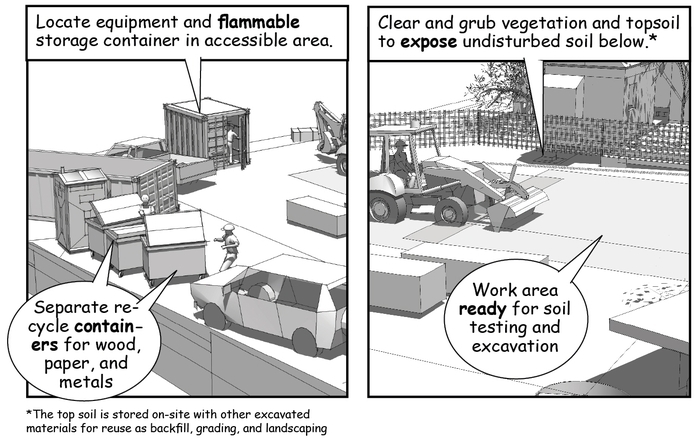 The SUP is also the basis of a safety plan, startup site preparations, marshalling, support services, storage, staging, layout areas, and clearing and grubbing in preparation for excavation, grading, and site utilities. Once the site is prepared, the building’s footprint is laid out from the workpoint and used to locate soil borings to test and analyze the strength of the soil under the foundation. These borings determine ground water, bearing capacity, and soil type and are drilled early in the construction process in order to identify structural changes that might affect the depth or dimensions of the excavation.